Conocephalus is a genus of bush-crickets, known as coneheads. 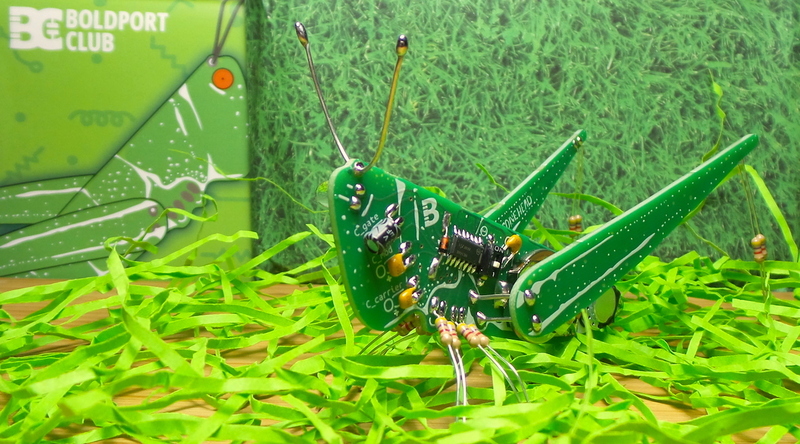 Now I have one beautifully rendered in a 3D kit from Boldport. It even has a pretty convincing FM-synthesised chirp that varies in response to lighting conditions. Boldport projects never fail to inspire some new learning. In the case it introduced me to Pure Data - a nifty open source visual programming language for multimedia. I reproduced the Pure Data chirp model and added a few more controls to make it easier to play around with.